I hosted Thanksgiving for the first time last year. I strategically planned everything, from the turkey brine to what wine we would drink while cooking. This year I am being a little more lax. Yet, one thing I will not scrimp on is the table. Growing up, my Mom and Aunts would spend the entire afternoon setting the table. Tablecloths and napkins were always ironed and centerpieces were meticulously put together. 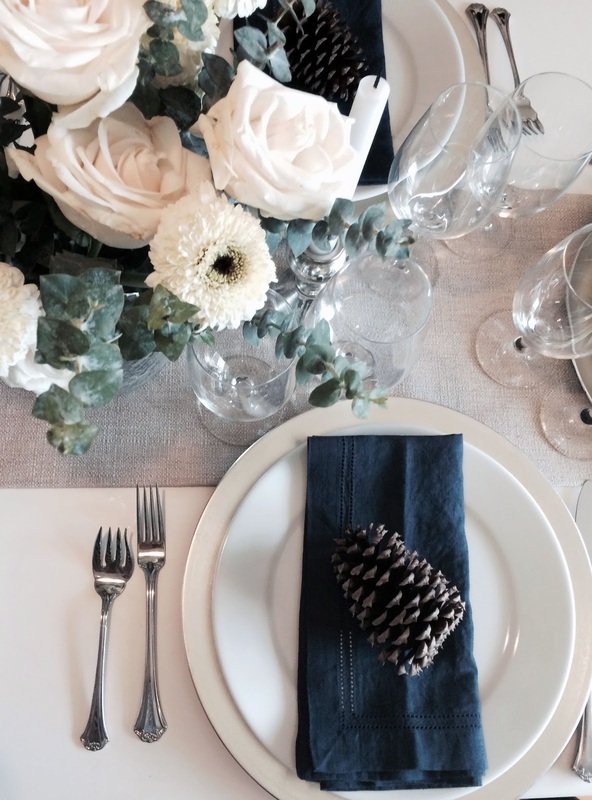 Last year, I stuck with cooler tones: navy napkins, a taupe runner, and ethereal florals in a mercury vase. I was proud of my workmanship and am looking forward to setting the table again this year. 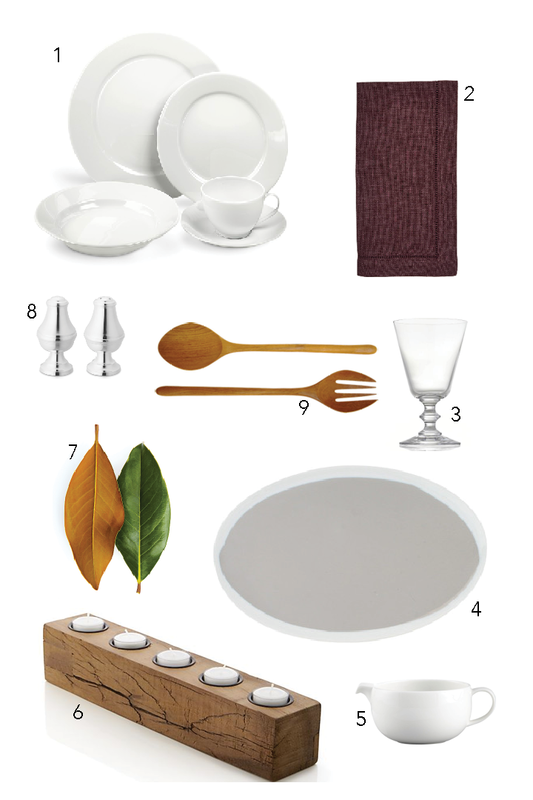 If you're hosting Thanksgiving and in need of a few new pieces to round out your table see below for a few of my favorites, and how I will be dressing my table this year. ONE A white porcelain table setting is perfect for any occasion. // TWO Add a festive touch without being gaudy with these maroon linens. // THREE Give a french twist to your wine glasses. // FOUR Your turkey will certainly shine on this platinum platter. // FIVE Thanksgiving is not complete until you pass the gravy boat. // SIX Instead of a floral arrangement, center your table with a wooden candleholder you can repurpose at a later time. // SEVEN I'll be adding a few magnolia leaves to the table for a pop of color. // EIGHT These salt and pepper shakers are nice enough all your formal dining occasions. // NINE Serve your Brussels sprouts with wooden salad tossers. I absolutely love the setting in the picture! That takes some serious talent. I'm hosting a Friendsgiving and Christmas this year and am hoping to spend time creating the perfect setting.